Mothering is beyond hard. It can quite literally drive you to the brink of insanity. But it can also be super-duper rewarding and dare I say... fun. Are you rolling your eyes? What's fun about endless laundry and scrubbing toilets? Um, nothing. But that's being a housekeeper, not a mom. It's time we made the distinction! Don't you think? 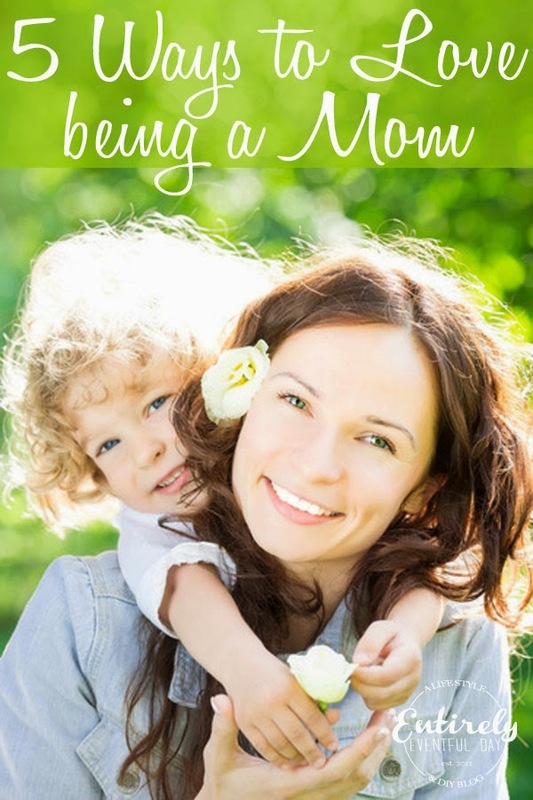 Being a mom is about so much more than cleaning up and dealing with grocery-store tantrums. It's about the quite moments, cuddling in front of a movie, sharing jokes and secrets. There are plenty of treasured moments to be had! 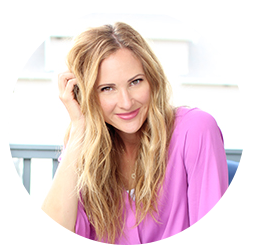 So how do we stop obsessing about all the obstacles that stand between us and enjoying motherhood? Change your Mind. It's amazing that YOU actually get to control your own thoughts. And thoughts dictate behavior and in turn... happiness. I mean, if someone in a Natzi concentration camp can decide to be happy, you can decide to love being a mom. Wow, that's a pretty serious comparison. Ha! No matter your circumstance, you will always be able to find something to complain about. Even if you have everything you've ever wanted, there will plenty to complain about. Life is crazy like that. The other day my son fell of his bike and ripped his good pants. I complained to my younger brother about how my other son had just torn two pairs of his school uniform pants a couple day before. It's so expensive! My brother said, "Oh yeah, I feel really bad for you college-educated, successful people. Maybe you will have to take out a second mortgage." See, my little brother has practiced medicine in Mexico and New York City. He has seen real poverty and pain. Then he went on to say that even if I had more money than I could dream of I would still complain about how expensive it is to insure my Mazarati. While I'm pretty sure I would own a Jaguar, I got his point. Our state-of-mind actually dictates how we act and how we FEEL. Even how we feel about being a mom! Decide what REALLY Matters. The world is full of things that can really bum you out. Things that can distract you from what's important. Things that can make you think negatively about your children. Train yourself to identify these things and then take a stand. Remember what really matters to you. Think about how you want your children to view you, what you want them to say about you when you're not around, how you want them to feel about you. And then be that mom. Little things can really gnaw at you. If my house is a mess on Saturday morning, sometimes I will make everyone miserable until it's clean. I allow myself that one thing. I let myself feel the need to control the way my house looks one day a week. I allow myself to insist that no one does anything fun until I'm satisfied. And then I let it go. I can't afford to obsess about all the things that are going wrong. Instead, I try (I don't always succeed) to focus on what's going right. Instead of being really bugged about the animal posters that my daughter hung all over the wall of her beautifully decorated bedroom, I think how great it is that she loves animals. Laugh whenever Possible. Somedays I am just not in the mood to laugh. My husband comes home everyday with a smile on his face, I'm not kidding. Somedays it really bugs me that he's so happy. Just being real. (Sounds like a personal problem). We all have crappy days, right? I am a get-stuff-done kinda girl. I want to get as much accomplished in the shortest amount of time possible. I can get pretty serious. And sometimes the last thing I want to do it laugh. It's at these moments when I need laughter the most. Jimmy Fallon Late Night Hashtags are a sure fire way to get a giggle out of me. We like to play a game called, "10 Second Tickle" basically we hold down one member of the family and tickle them for 10 seconds. Yep, totally genius title. Even when you're forced to laugh, it really is the best medicine. Try laughing with your kid when he does something dumb rather than criticizing him. Then show him what he should have done is instead. Communicate. Let your kids know how you feel, what you expect, and what you want upfront. Setting expectations will avoid confusion. Kids love routine and rules. Set rules and stick to them. Let's say we're going somewhere where my kids need to be on their best behavior. Before we go (mostly on the way there) I give them the run down of what's expected of them. I get specific, "No pushing or talking too loudly. You will be given one warning." Stuff like that. If they do a good job and do what was expected I reward them. I don't mean I buy them candy, I mean I tell them that they make me happy and I smile at them. I try no to bribe my kids. Like most kids, my kids just want to feel important, impressive, and loved. I might take them to the park on the way home, or we might play a game after dinner. If they don't do what's expected, they are given one warning and then they have consequences. I am sure to explain to my kids that it's not just me that makes consequences but rather all their actions have consequences and it's my job to teach them. Stay Humble. I believe that humility is important in every aspect of life, even mothering. Sometimes I think to myself, "I am a dang good mother." But then I remind myself that there are times when I feel like I'm a pretty crappy mother. I try to stay humble to avoid the guilt. If I stay humble and consider myself their teacher then I will be proud of them (not myself) when they succeed and when they struggle I won't take it so personally. As mothers there is only so much we can do. There is only so much influence we can have. I do my best and by staying humble I keep myself open to learning how to do better. In my opinion, you can never learn too much about mothering. And you can never be too humble.